Had enough of the dirt and odors getting into the cab of your '94-'02 Dodge Ram? Get the Cab Fresh dual interior air filtering kit and breath better air. We can tell you that the diesel exhaust smell is greatly diminished. Also, a this filter will help keep debris from covering the A/C evaporator in your truck that will block airflow. Easy to install. The dual interior air filter kit fits over the factory vents and is held in place with self tapping Phillips head screws. It appears a good product, time will tell. The one I recieved did not match my mexican made 01. someone got carried away with the hole punch and required some selective carving to seal down the leading edge from wind & rain wash. Less than satisfied overall. cab filter installed correctly. Great value, good quality. This kit is an easy, quick install, and the wife doesn't complain about the diesel fumes early in the morning anymore! A win/win for me. The results of this filter is still out. But I must say that when I changed out the evaporator in the heater box it was full of bits of leaves and clog with dirt. This should fix the problem. Easy install. Good fit. I added a few more self tapping stainless screws to keep tighter. Outstanding add on that really works! I drive in the deserts a lot. 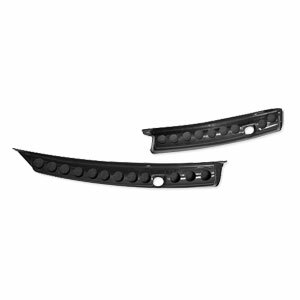 I added one of these a little over a year ago to my old 2 gen truck. I really notice the difference as I spend a lot of time off road and it keeps the dust to a minimum in the cab. I also changed my fan blower motor around the time I had added this filter and I could not believe how much junk was stuck in the bottom of the old fan, all the result of no filtration at all on the 2nd gen. I also notice reduced exhaust smells from other vehicles since adding this. I would definitely recommend it! 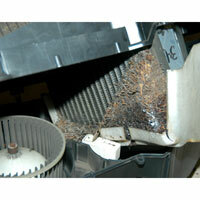 Works as intended, removes intense exhaust smells and keeps small particulate matter from damaging fan motor. Great investment. the cabinfresh filter is great for removing dust from the inside of the cab, personally i recommend also replacing the blower motor resistor at the same time, while the cabin fresh filter does a great job it does also put some additional load on the blower motor as it now has to force air through the filter, and on the 2nd gen trucks every air vent setting except MAX AC, uses outside air through the cabin fresh filter, only on max ac does the system recirculate air from within the cab.